Burger is everyone's favorite. Many creations can be made to indulge burger lovers. This burger with grilled potato will give your diners another reasons to ask for more. Grill lean meat until cooked. Cut in two part, heat olive oil in wok pan, put the bun. Grill until the bun golden brown. 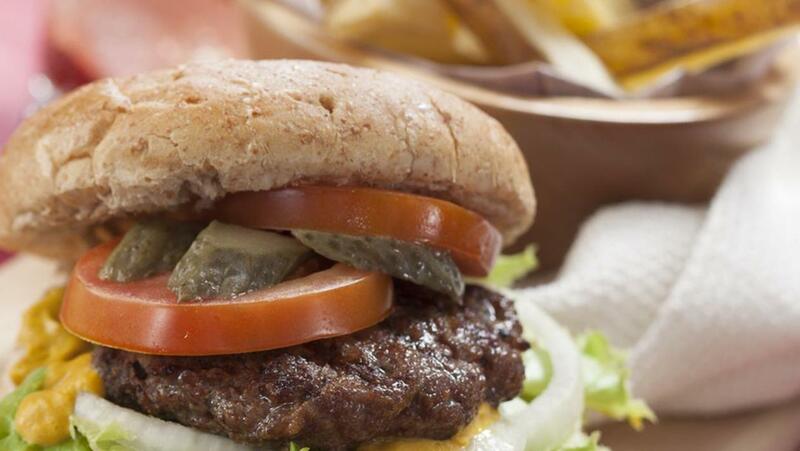 Rub the burger bun with BEST FOOD Real mayonnaise, lettuce, grilled beef, sliced tomato, gherkin, onion and mustard. Serve with homemade baked potato (with skin).